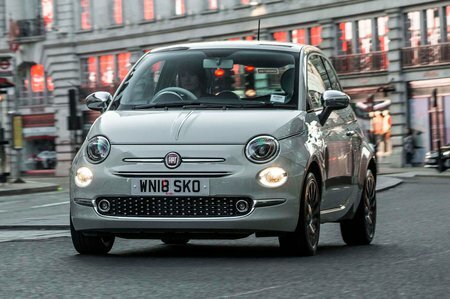 Fiat 500 1.2 Pop 3dr 2019 Review | What Car? What Car? will save you at least £555, but our approved dealers could save you even more. This entry-level trim is pretty basic. You get electric front windows, remote central locking, electrically adjustable door mirrors, steering wheel-mounted audio controls, plus USB and aux-in connectors. Air-conditioning is notable by its absence, as are alloy wheels (steel rims and plastic trims come as standard). Air-con is definitely worth paying extra for, not least because it’ll make your 500 easier to sell on in the future.